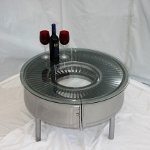 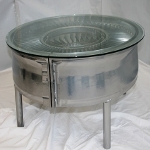 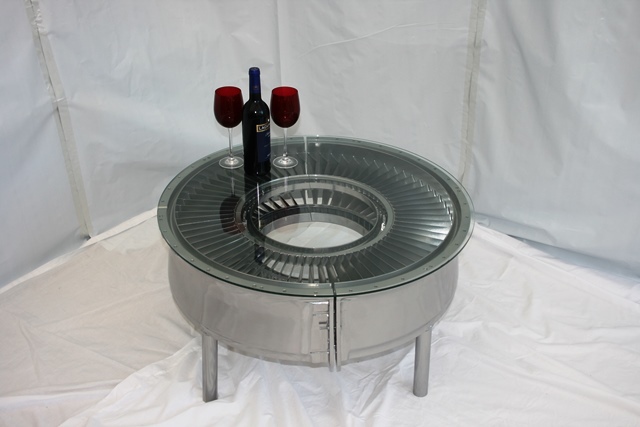 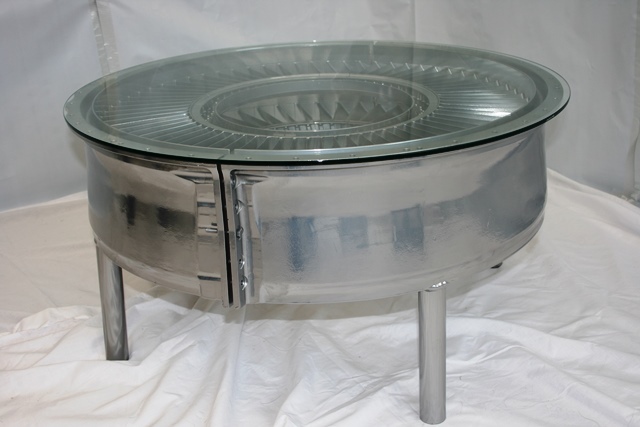 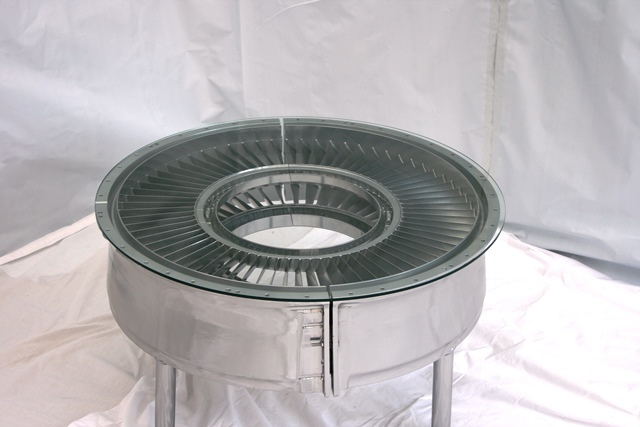 Vintage Aircraft Furniture is pleased to bring you a designer coffee table made from the jet engine casing from a Rolls Royce engine that was fitted to a Royal Air Force Nimrod aircraft. 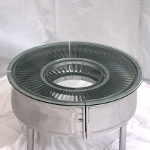 The coffee table has a 6 mm toughened glass table top. 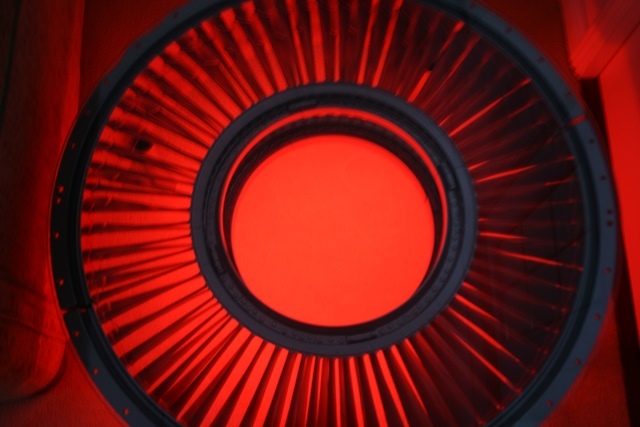 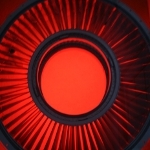 LED lights are fitted to the underside to give it the flame look. 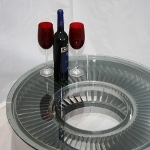 These are a free added extra that can be added if the customer prefers. 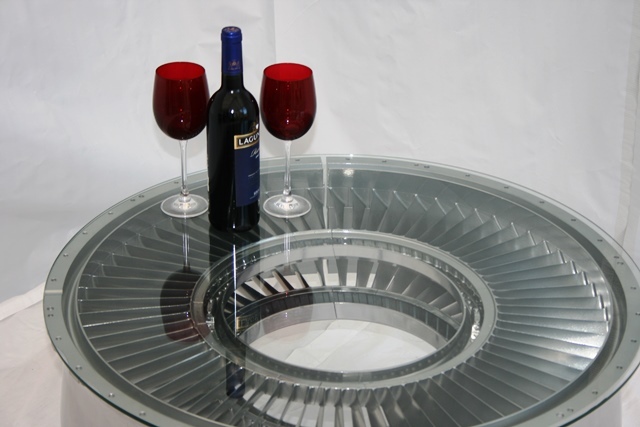 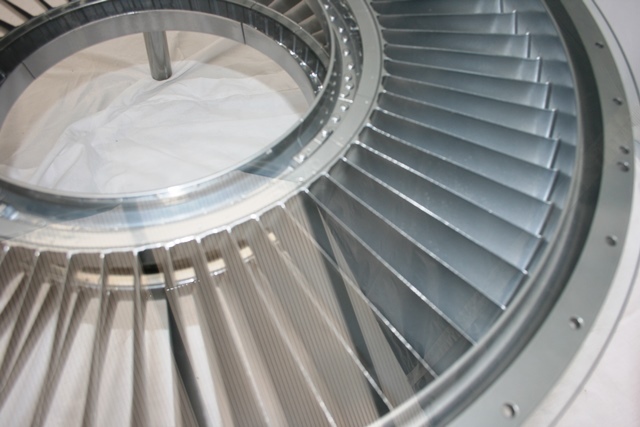 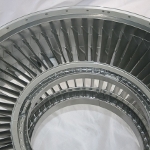 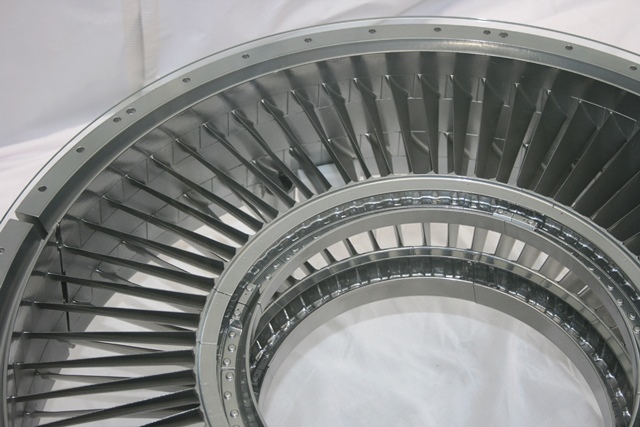 This coffee table has smaller jet fan blades, see the sister product for the slightly larger blades. 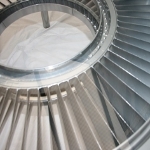 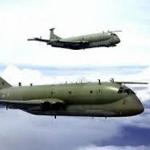 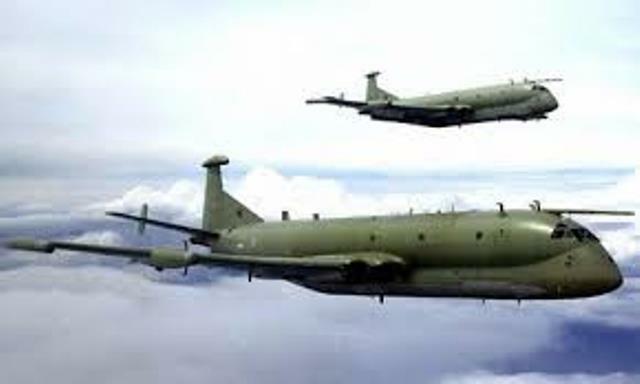 The original engineering cost to the tax payer was staggering and the chrome finish shows it off to perfection.